It is increasingly difficult for Swallows and House Martins to find suitable nest-building material in our modern world. The mud they do find, if any, is often poor quality. In addition, the walls of buildings are nowadays often very smooth. As a result, nests tend to fall down, sometimes with the nestlings inside. In many places, the vibration caused by heavy vehicles shakes the nests loose. 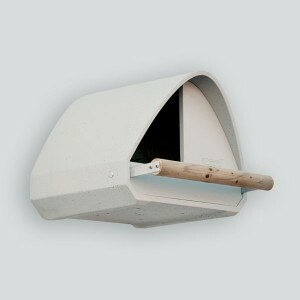 Our SCHWEGLER Nests, made of wood-concrete with a 75 % wood content, are far superior to natural nests and are a direct way to help Barn Swallows and House Martins. A variety of models is available for different locations and species. 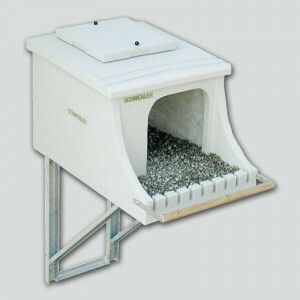 In many regions the entire Swallow population depends on artificial nesting aids. Swallows are popular Birds and are regarded as the bringers of good luck. 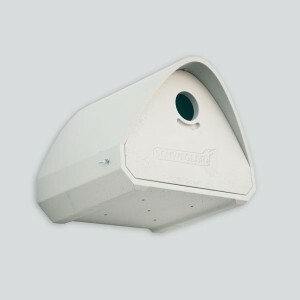 They feed on flying Insects such as swarms of Greenfly, Crane Flies, Mosquitoes and Houseflies. They prefer to hunt in the immediate vincinity of their nesting sites. 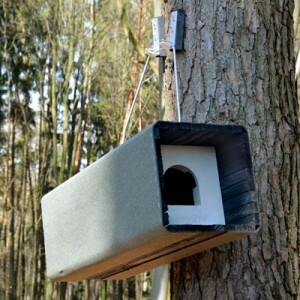 Installation details are included with each nest. In areas in which pools of clay or loam or clay soil are available and accessible for Martins, the House Martin Nest No. 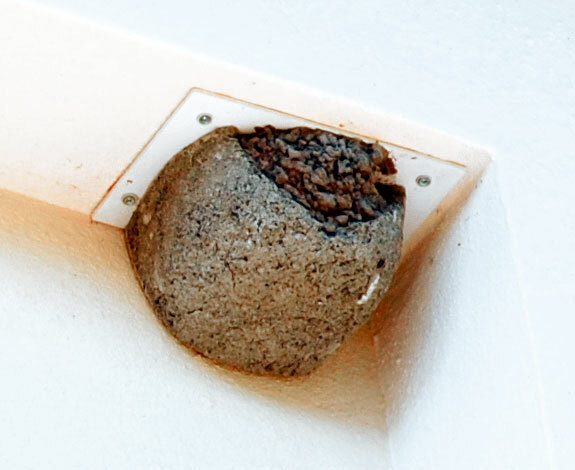 13B can be provided as a semi-finished nest for the House Martins to finish themselves. 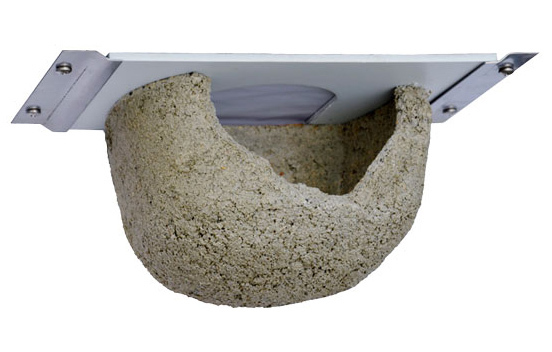 The advantage of the Semi-Finished Nests is that they provide a secure place for breeding and cannot fall off, which can certainly happen with the Martins’ own constructions, because of unsuitable clay composition. The optimum solution is to attach the Semi-Finished Nest alternately with the tried and tested finished nests, for example, No. 13, 9A or 9B. 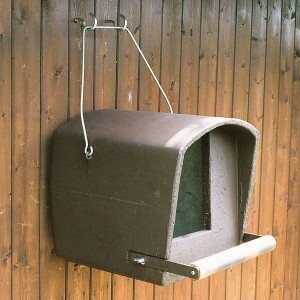 Material: SCHWEGLER wood-concrete nest on plastic mounting panel, staining steel fixing rails with stainless steel screws. Dimensions: W 25 cm (including strip), H 9 cm x D 14 cm.